View toward Walker Hall and across College Street showing houses along the street and in the distance. The hat factories are shown to the right of Walker Hall. 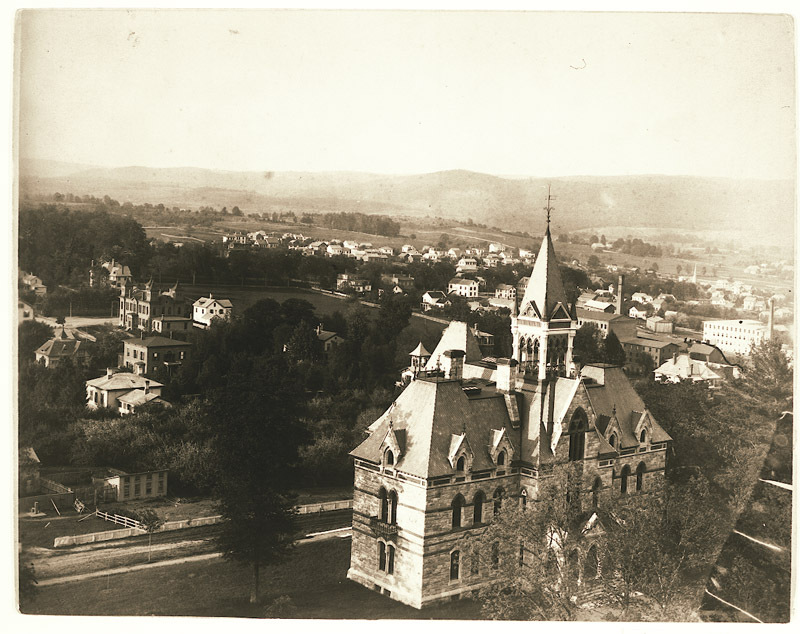 Lovell, John L., 1825-1903, “View from Amherst College Tower looking northeast,” Digital Amherst, accessed April 23, 2019, http://www.digitalamherst.org/items/show/340.